Washington DC is one of the most haunted places in the United States. Spirits of presidents, congressmen, and numerous others have been seen in the White House, United States Capitol, parks, and numerous hotels. There have been many reports of ghosts haunting the White House ever since Mary Lincoln held seances that foretold of President Lincoln's assassination. 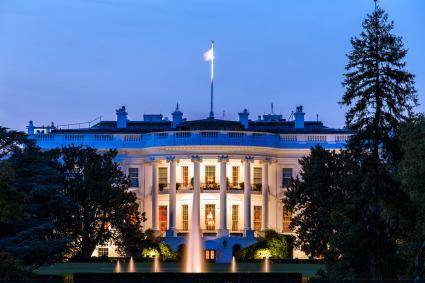 The White House has a wealth of ghost stories that are mostly about dead Presidents. Andrew Jackson is among the Presidential spectres seen. Other ghosts have been seen that leave a chill down witnesses' spines. One very eerie story stands apart not so much because it is a 14 or 15-year-old boy ghost, but because the Taft administration staff named it The Thing. According to the White House Historical Association in 1911, the White House Staff was so unnerved by The Thing that President Taft ordered anyone who spoke of the ghost would be fired. The most restless spirit in the White House spectral world is that of President Lincoln. Residents and guests have claimed to see Lincoln's ghost. Winston Churchill saw Lincoln sitting by the fireplace in the Lincoln Bedroom. Queen Wilhelmina (Netherlands) answered knocks on her door and was greeted by Lincoln. She royally fainted. Eleanor Roosevelt, Lady Bird Johnson, and Jacqueline Kennedy sensed his presence, although never admitting to seeing his apparition. According to Carl Anthony writing for the National First Ladies' Library (NFLL), First Lady Grace Coolidge penned that she caught a glimpse of President Lincoln standing in his former office (currently the Lincoln Bedroom), staring out the window. One of the best documented encounters with a ghost is a September 9, 1946 letter penned by President Harry S. Truman to his wife, Bess. In it, he described three distinct knocks on his bedroom door at four in the morning, but nobody was there when he investigated, searching the hall and other rooms. Returning to bed, he heard footfalls in his wife's room. Again, he investigated, but no one was there, something later verified with Secret Service. Truman wrote, "The darned place is haunted sure as shootin." He wrote that Bess and his daughter should come home soon to protect him before the ghosts carried him off. One of the best-known White House ghost stories is how First Lady Edith Wilson decided to move the rose garden established and cared for by Dolley Madison. The two gardeners charged with the move reported being met by an angry Dolley Madison. To this day, the rose garden remains where Madison first planted it. However, the NFLL points out that it was Ellen Axson Wilson (the first, First Lady Wilson) who created the rose garden and not Madison. The museum is open Thursday through Saturday from 1 to 4pm, and admission is free. 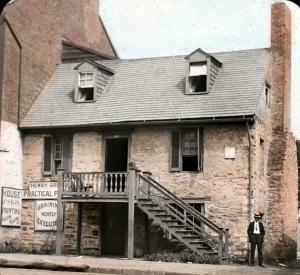 Built in 1765, the Old Stone House is the oldest structure in Washington, DC still on the original foundation. Listed on the National Register of Historic Places, it is open to the public. It is also known for its large ghostly population that resides in the house. Malevolent spirit George chokes and shoves guests. Woman in brown dress stands by fireplace. People see colonial man in the master bedroom. Visitors hear disembodied voices and laughter. People hear children running around house. Some see apparitions of women working in kitchen. The Old Stone House is open Monday through Sunday, 11 am to 6 pm. Admission is free. Call 202-426-6851 for more information about visiting. 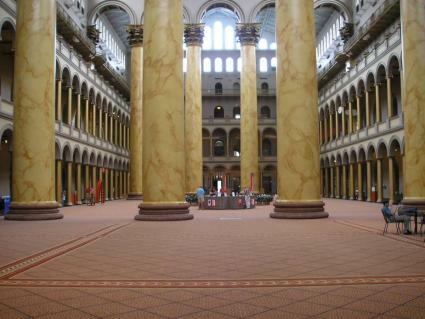 Formerly known as the Pension Building, the National Building Museum is a National Historic Landmark and is said to be haunted by very unusual ghosts. The main hall is haunted by a woman dressed in white. A man on horseback rides along the upper floors. Strange noises and objects go missing then reappear in odd places. Column colors morph into dead people connected to the building. The spirit of James Tanner, the stenographer for Lincoln assassination witness testimonies, roams the floors. The museum is open Monday through Saturday, 10 am to 5 pm and Sunday 11 am to 5 pm. Adult admission is about $10. Lafayette Square: Andrew Jackson's ghost is said to roam the square along with Francis Scott Key's son, Phillip Barton Key II. Key was shot by Daniel Sickles in retaliation of Key's affair with Sickles's wife. Library of Congress: A resident ghost is said to claim a specific seat in the main reading room. Anyone unlucky enough to sit there will either become too cold or too hot. 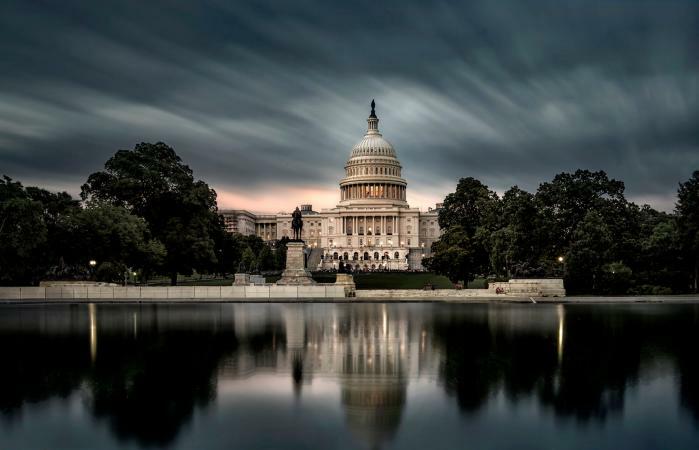 Capitol Building: The Capitol Building is said to be haunted by Senators and Representatives, a demon cat, John Quincy Adams' disembodied voice, and other paranormal activities. Congressional Cemetery: Ghosts are reported throughout the 65,000 gravesites in the Congressional Cemetery. Many deceased Congressmen have been seen as well as the spirit of Marine composer John Philip Sousa playing his tuba, dubbed the sousaphone. 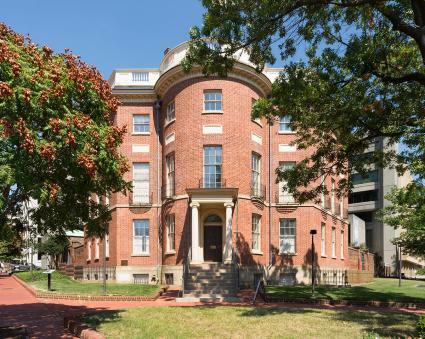 There is no shortage of haunted places in Washington, DC with colorful stories about the ghosts roaming the city. You can take a walking ghost tour or visit many of the public publics renowned for their paranormal activity.